Every Monday, Ghettoblaster is looking back to new albums released the previous week. Below are the albums released June 24th that we believe are definitely worth a listen. 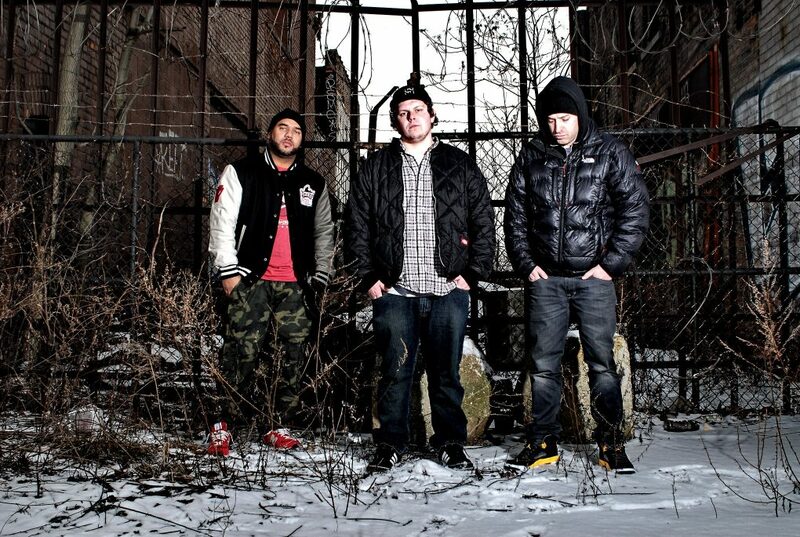 In 2013, Detroit hip hop producer Apollo Brown joined forces with Detroit rapper Red Pill and Chicago rapper Verbal Kent, to make Ugly Heroes. Their second album was released this week via Apollo’s own Mello Music Group, which has put out some amazing hip hop albums this year, such as Mr. Lif’s Don’t Look Down and Open Mike Eagle’s Hella Personal Film Festival. He channels producing greats like J. Dilla and Kanye West, with every beat expertly crafted from antique soul samples, the perfect backdrop for Red Pill and Verbal Kent’s fierce rhymes. This album is filled with brilliant, powerful wordplay on a broad range of topics. On the track, A Place Called Home they address the bittersweet “rebirth” of Detroit, and the toll taken on the city’s long-time residents. On the song This World they give their no holds barred take on the big issues facing our country. Everything In Between is a powerful, personal, globally and locally political record that offers important insights into the time we are living in, and the challenges that lie ahead. You would expect an album call True Sadness to be full of slow, depressing songs. However, on The Avett Brother’s ninth album they approach saddening issues with positivity and hope. Whether the subject is death, alcoholism, or divorce, the songs are upbeat and catchy. With foot-stomping, hand-clapping rhythms and infectious riffs, played on fiddle, mandolin, or banjo, the band has taken their folk/country sound and made it more accessible. The language of these lyrics is straightforward and simple, yet pensive and powerful. The overall theme of the record is sang on the titular track True Sadness, “no one is fine, take the time to peel a few layers and you’ll find true sadness.” It seems like sadness or pain is somewhat taboo in our culture. Even though it is something we are all constantly experiencing, people are embarrassed by their sadness and like to shield themselves from any unpleasantness and project the image that everything is fine when it isn’t. This album shows us that we don’t need to be ashamed of our pain, that happiness and sadness must coexist for the human experience to be complete and fulfilling. 20 years ago DJ Shadow’s debut album Endtroducing… pioneered the instrumental hip hop and pluderphonics genres, having been the first record made up entirely of existing recorded material. Now he continues to make strides in these genres, with his fifth studio album The Mountain Will Fall. This album feels fresher and more modern, with updated electronic sounds, but on the tracks Nobody Speak and The Slideshow, featuring collaborations with Run The Jewels and Ernie Fresh, he channels his early hip hop influences. The rest of the album is largely ambient and experimental, with DJ Shadow integrating modern technology into his vintage style. You can hear his direct effect on the music, manipulating the speed or pitch of sounds and adding in the occasional scratch to the densely layered blanket of noise. In an age where being a DJ usually means pressing play on a laptop and fiddling with some knobs, it’s good to see a true OG turntablist make listeners rethink what this genre is capable of accomplishing. On The Magic, Deerhoof keep the spirit of old school rock and punk alive, augmenting it with their own quirky arrangements. No two tracks sound alike on this album, sometimes synth-laden and surreal, and other times raw and rocking, juxtaposed with Satomi Matsuzaki’s airy and gentle voice, making these songs true originals. Some of these tracks were written for HBO’s Vinyl, which accounts for the early rock influence. Overall, this album visits so many different genres and styles, while still feeling cohesive and connected. This band has been playing music for over 20 years and they remain one of the most interesting bands to watch.